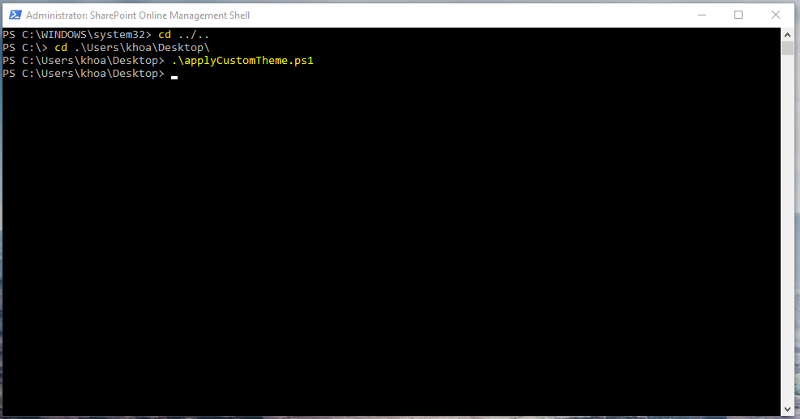 Go to https://developer.microsoft.com/en-us/fabric#/styles/themegenerator in order to create you own theme. You will be able to change items like the primary theme color, body text color, and body background color. A cool feature is that you can see live how the changes you make will impact the readability and accessibility of your SharePoint site. The most important part here is to copy the PowerShell column once you are done. 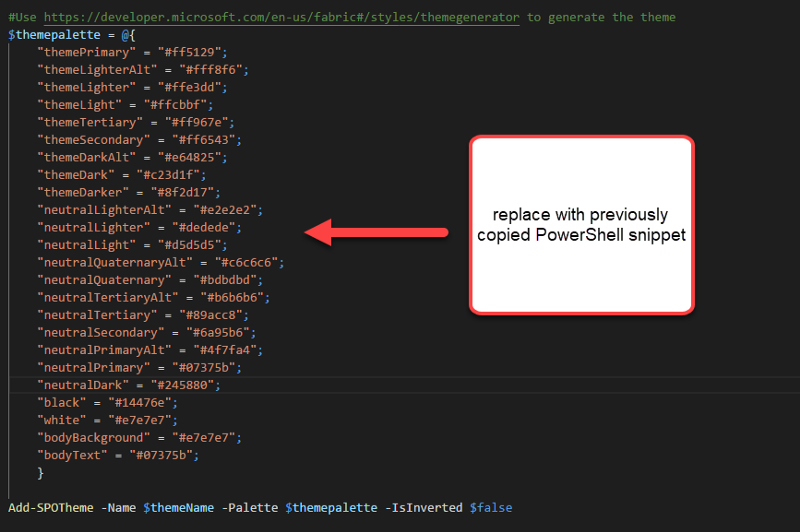 Make sure to copy the PowerShell shared with you. 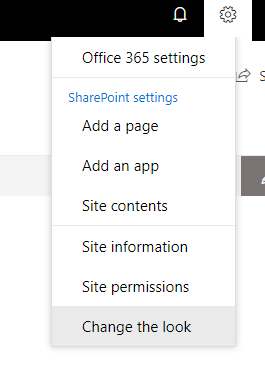 Go to https://docs.microsoft.com/en-us/powershell/module/sharepoint-online/add-spotheme?view=sharepoint-ps and get the script shared with you into a .PS1 file. You will need to add the SPO-Connect command with the right tenant information in order to connect then replace the code in the $themepalette array. 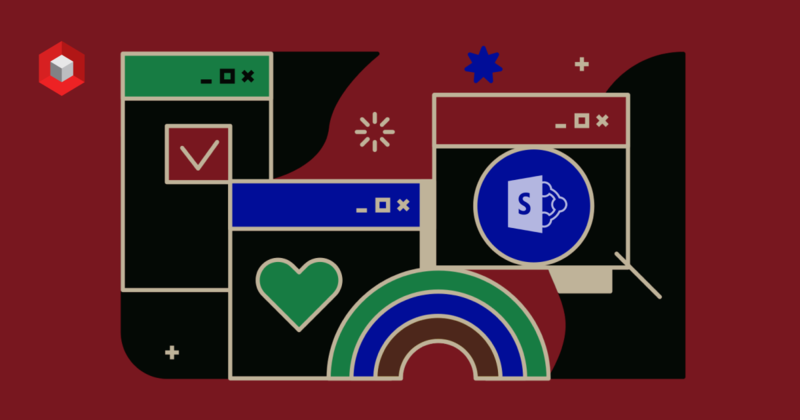 Connect to the SharePoint site within the targeted tenant. If you go to one of the site pages, you should see the “Change the look” option from the cog wheel dropdown. 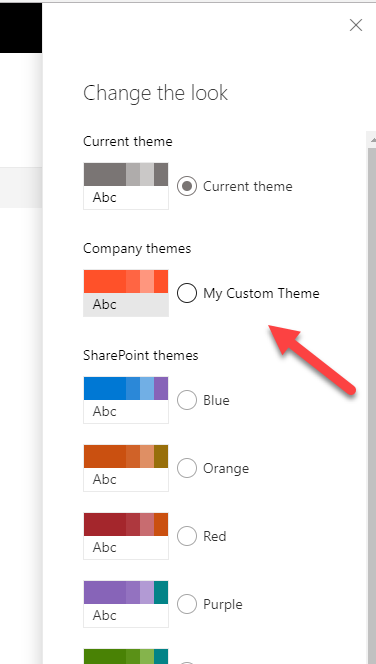 Click on that option and then select the “My Custom Theme” that you have created (it will show under “Company themes”). Don’t forget to click “Apply”. NIFTIT is a development and design agency in New York, Vietnam & Hong Kong. We are dedicated to empowering businesses of all sizes and non-profit organizations through nifty solutions. Our team develops customized solutions according to the best business practices in the industry. In our weekly blog, we provide the latest news and useful technical blogs about SharePoint, Office 365 and Power BI. Don’t hesitate to subscribe to our newsletter!